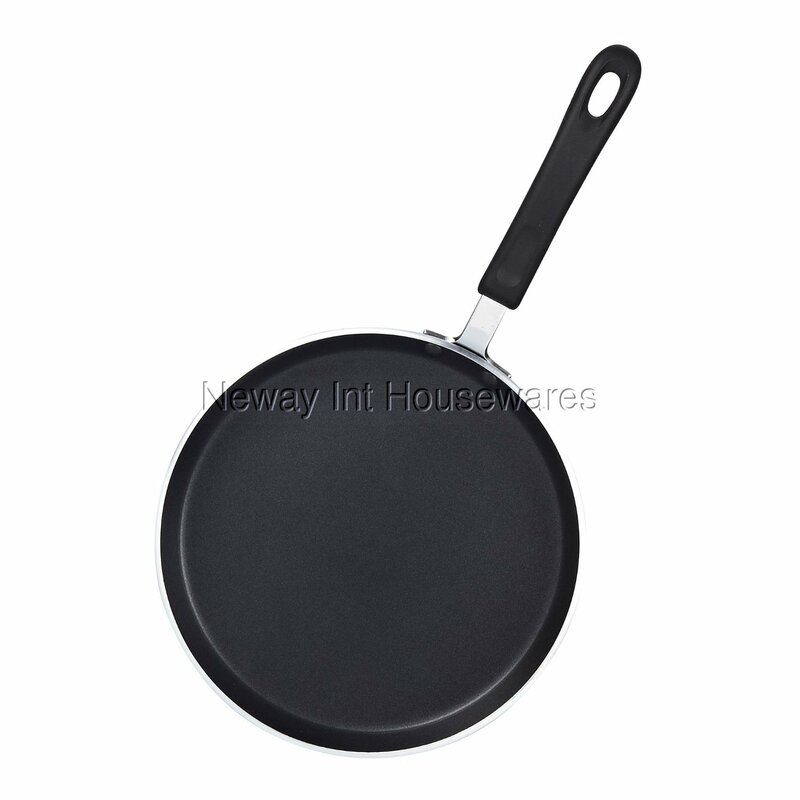 The Cook N Home 10.25-Inch Nonstick Crepe Pan Griddle, 26cm, Black has a nonstick coating that makes food release and cleaning easy. The cookware is made of thick gauge aluminum that provides even heat conduction and prevents hot spots. The soft touch handle stays cool when cooking. Works on gas, electric, glass, halogen, ceramic, etc. Not Induction compatible and not oven safe. Dishwasher safe. Works on gas, electric, glass, halogen, ceramic, etc. Not Induction compatible and not oven safe. Dishwasher safe.